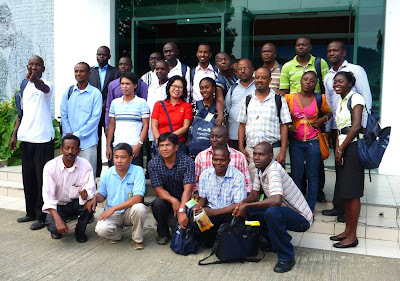 An 18-week season-long rice farming training program for extension agronomists from African countries commenced at the Philippine Rice Research Institute (PhilRice) in Nueva Ecija, Philippines, on 25 June 2012. The program, now in its second offering, has 26 participants from 6 countries: Burundi, Ethiopia, Ghana, Nigeria, the Philippines, and Sierra Leone. It is a joint undertaking between the Government of Japan, through its Japan International Cooperation Agency (JICA), and IRRI and runs from 25 June to 26 October 2012. 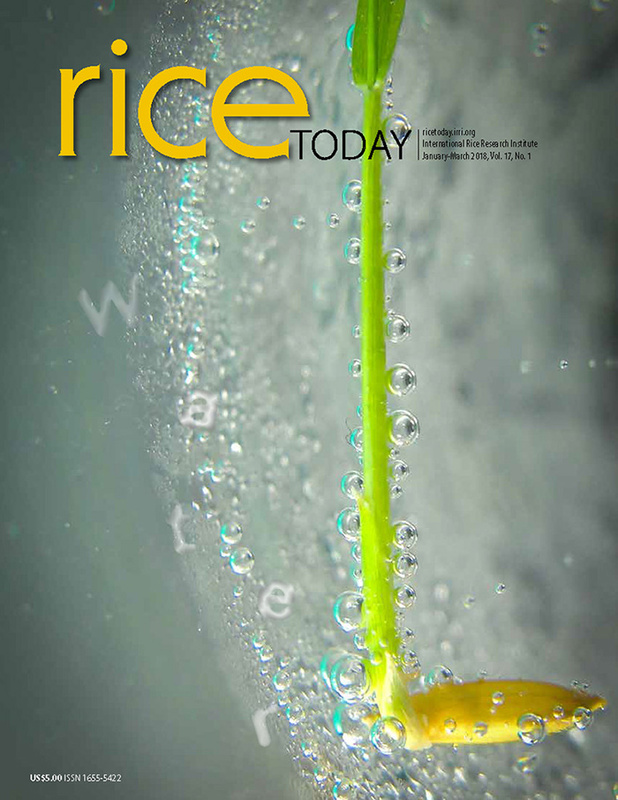 It will contribute to a greater and sustainable harvest of quality rice in each country and will demonstrate that the application of up-to-date rice farming practices and farm mechanization will result in increased food security and improvement in the livelihoods of rice farmers and their families and communities. The program introduces a model of effective extension by a team of extension agronomists that are supported by researchers and research technicians that effectively incorporate the latest crop management technologies into farm practices. 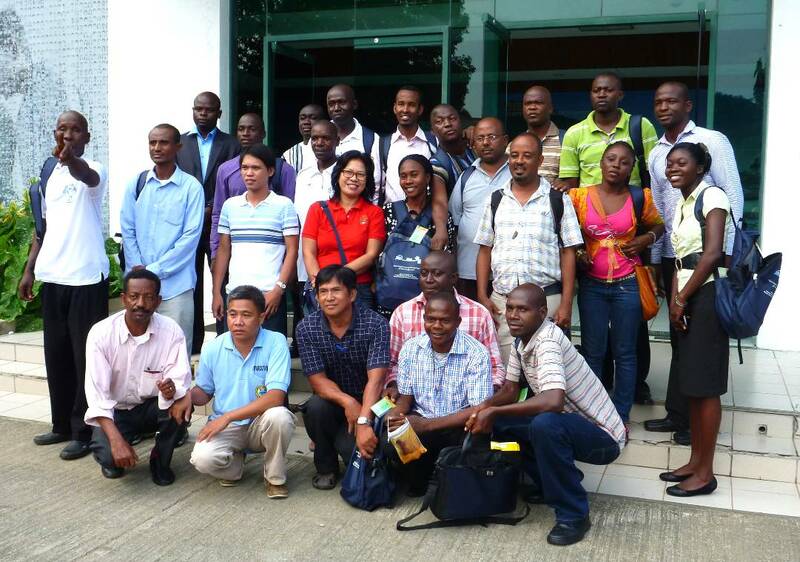 Extension agronomists are skilled in technology transfer to farmers. The course includes participatory technology demonstration and the farmers' field school, conducted in partnership with Philippine farmers. Also within the program, IRRI will hold meetings in collaboration with the participating organizations in Africa and follow up on participants’ implementation of a small project applying knowledge and skills acquired from the training in their own country. The course is led by Noel Magor, IRRI Program 6 leader and Training Center head; Joseph Rickman, East and Southern Africa program coordinator; Eugenio Castro, Jr., project coordinator/facilitator; Takahiro Nakamura, JICA-Japan; David Shires, consultant; and Zakaria Kanyeka, training coordinator in Africa.